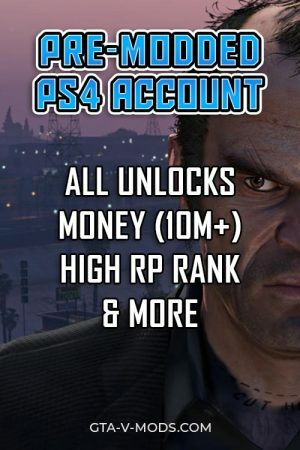 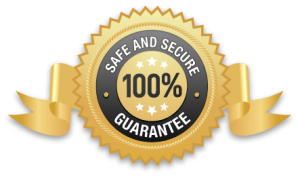 Get a modded gta 5 account for PC (Steam/Social Club) – Our pre-made accounts already have high RP ranks, all unlocks and a massive amount of money. 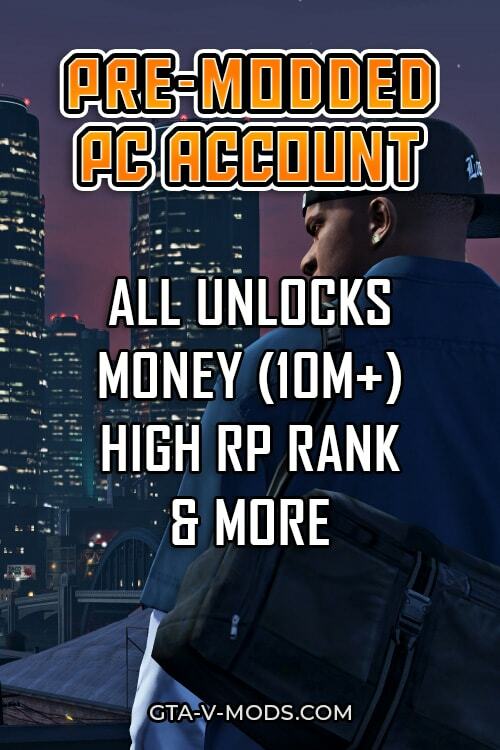 Pre-modded GTA 5 account for PC. 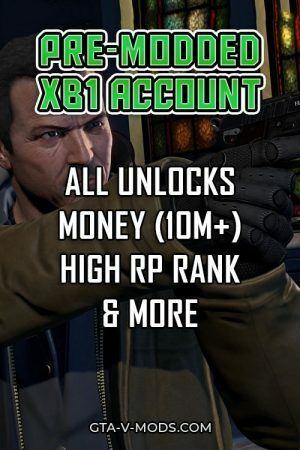 Choose between bronze, silver or gold account - Each package has different RP, money and unlocks.